The highlight of the Masters Day Four has to be something that decides the outcome of the tournament. So let’s go for the way Willett played the 18th. He had to back off his tee shot, then nailed it. His second almost didn’t make the green then hopped left into the heart of the green. His first putt was… let’s say defensive. Then he tapped it in for the four that won him the Masters. Take your pick from three aces at the 16th – one from Shane Lowry, one from US Ryder Cup captain Davis Love and one from Louis Oosthuizen. We’d be biased and take the former but you have to go for Louis’s effort considering he bounced it in off playing partner JB Holmes’s ball. Hitting a provisional on a par 3 is never a good sign so let’s give this to Rory McIlroy on No 6. As it happens he found it and the next thing we saw was a ball coming out of a hedge, leaving a 15-footer for par. But still. 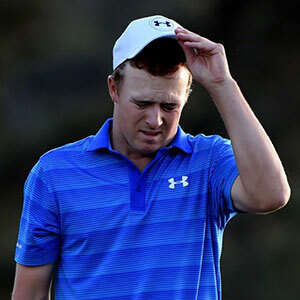 Failing that, any number of Jordan Spieth’s efforts, which never quite seemed to get punished as heavily as they might do. On Sunday at the Masters, several pins are positioned in what amount to large bowls. It’s no surprise we see birdies and eagles aplenty. It’s certainly exciting. It’s great theatre. However, I’m not sure it’s overly fair as a method of deciding a Major championship. Not for me anyway. Soren Kjeldsen. He was every inch the journeyman tour pro until winning last year’s Irish Open in a play-off at Royal County Down. Suddenly, in his 40s, the Dane found himself in the world top 50 and he is making the absolute most of his unexpected opportunity. He looked like he was loving every minute at Augusta and why wouldn’t he. The highlights were two bombs, on the 3rd and 5th, in the final round, both of which were celebrated with suitable elation. Bernhard Langer slipping down the leaderboard on the final day. It was a ridiculous achievement to play his way into the penultimate group in the first place as a 58-year-old. Bryson DeChambeau’s performance as top amateur. He wakes up today as a tour pro. He has been thinking like one for some time. Conventional he is not, talented he most certainly is. We’ll be hearing a lot about him in the years ahead. On a cumulative basis, for Saturday’s effort combined with Sunday’s, we’ll give this to Hideki Matsuyama. The Japanese star had a curiously 80s look going with the stripes on his jumpers.